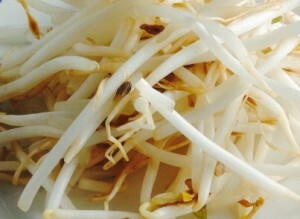 A Listeria recall for Good Seed brand bean sprouts is the latest example of the inherent risk associated with bean sprouts. Public health officials say sprouts pose a unique food safety risk because the conditions required to grow them are also perfect for growing bacteria. The recalled Good Seed sprouts were sold in Virginia, Maryland, New Jersey and North Carolina. Consumers who have purchased them should not eat them as Listeria can cause serious illness and death. Symptoms of an infection include high fever, severe headache, stiffness, nausea, abdominal pain and diarrhea, Listeria infection can cause miscarriages and stillbirths among pregnant women. Since 1996, there have been more than 30 “sproutbreaks” where sprouts contaminated with Salmonella, Listeria, E. coli and other pathogens have caused outbreaks of illness. Last year alone, sprouts were the source of two large multistate outbreaks. One of them, a Salmonella outbreak linked to Wonton Foods bean sprouts, sickened 111 people in 12 states. About a quarter of those sickened were hospitalized. Another, was an E. coli 0121 outbreak linked to raw clover sprouts that sickened 19 people in 6 states. That outbreak was linked to Evergreen Fresh Sprouts of Idaho. The Centers for Disease Control and Prevention (CDC) recommends that children, seniors, pregnant women, and those with weakened immune systems avoid eating raw sprouts of any kind and that others should thoroughly cook sprouts before eating them. To see FoodSafety.gov’s fact sheet on sprouts click here.